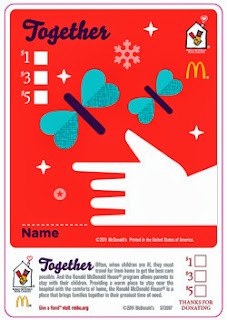 I am a Ronald McDonald Charity Blogger. All opinions are my own. 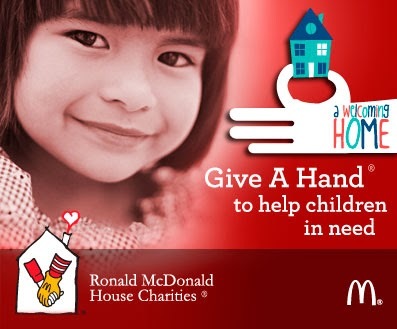 “Give A Hand” is a 10-year McDonald’s tradition where customers may donate directly to ARMHC while visiting any participating restaurant in the greater Atlanta area. 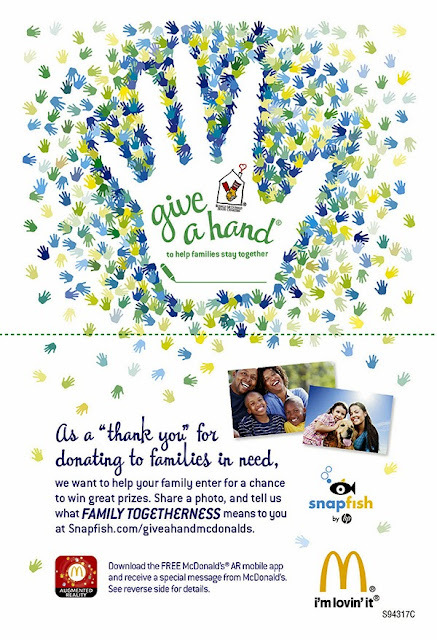 Throughout the month of November, customers may purchase a paper ‘Hand’ for $1, $3 or $5 to help keep families together and support ARMHC. Customers can display their hand in the restaurant to show their support for the Charity. This year, customers receive a special “Thank You” message from McDonald’s for their donation. 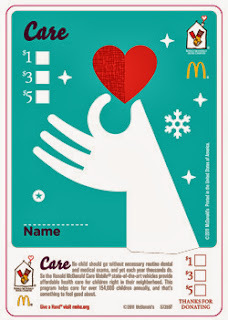 After purchasing a hand, donors may upload and use the free McDonald’s Augmented Reality app for a one-of-a-kind message from Ronald McDonald. Customers also have the opportunity to win a family vacation and a $500 Snapfish gift certificate if they participate in ARMHC Family Photo Contest after purchasing a Hand.